Mission Bay Aquatic Center Blog: Hey campers! Spend your Spring Break at The Watersports Camp! Hey campers! 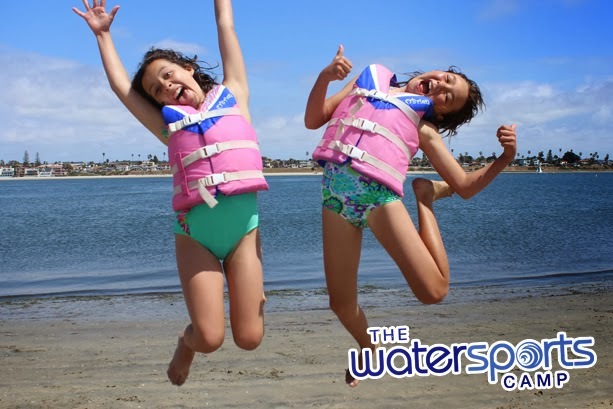 Spend your Spring Break at The Watersports Camp! Don't let your campers sit around the house idle this spring break when they can be having an amazing experience at The Watersports Camp! Our Spring Break camps are the same great programs that hundreds of campers enjoy over summer before the busier summer months. There will be two weekly sessions running March 31-April 11.Get an early taste of Summer and get the kids out of the house enjoying some activities on the water this Spring Break! Reserve your spot in one of the two Spring Break sessions today!